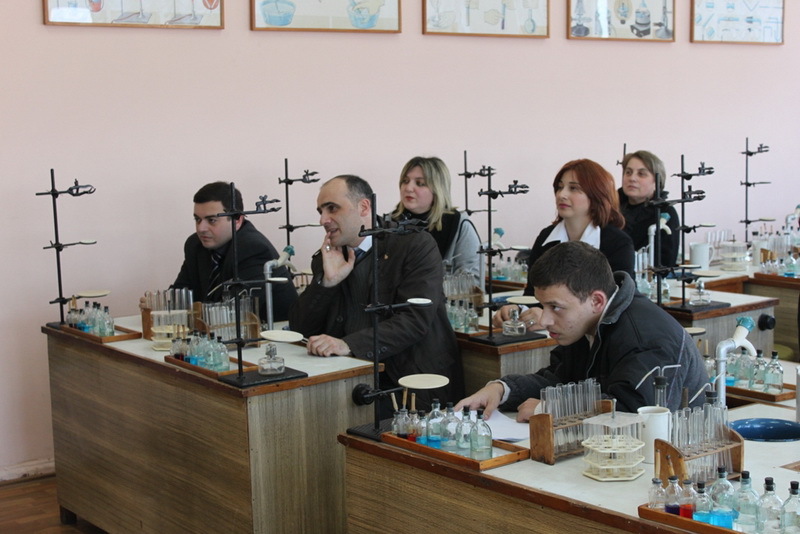 Scientists will give the popular-scientific lectures and the practical classes to the 10th, 11th and 12th graders. 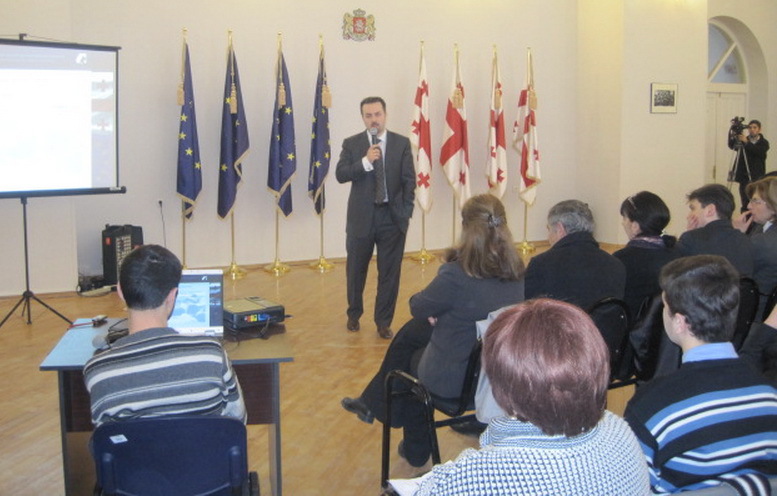 The Minister of Education and Science, Dimitri Shashkini attended the chemistry lesson, carried out using the virtual laboratory at Tbilisi public school #186. 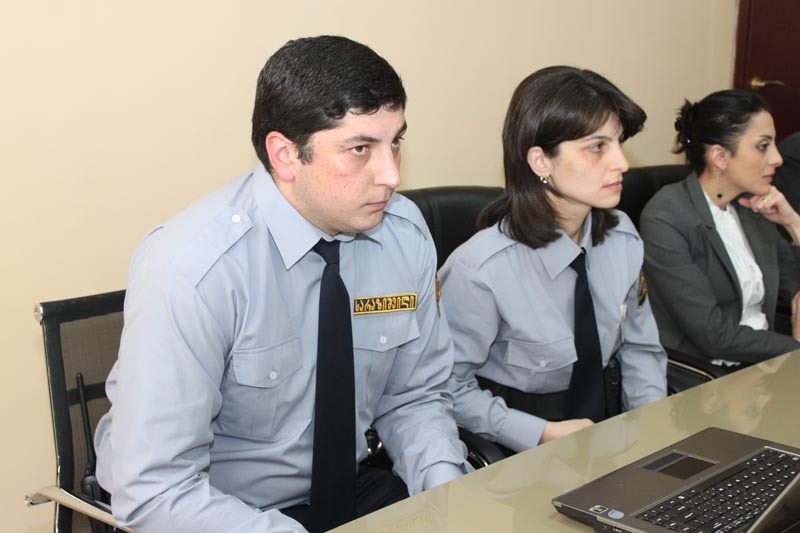 The Minister of Education and Science paid a visit to the Academy of the Ministry of Internal Affairs. 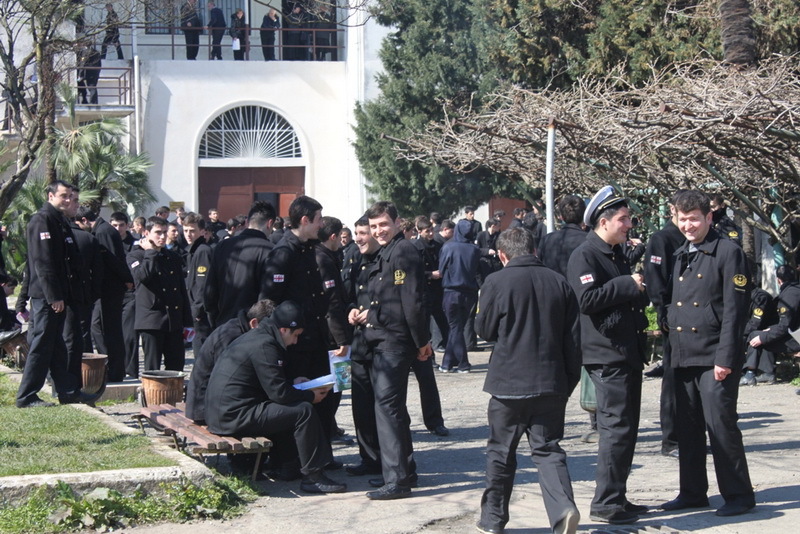 The first flow of the public school Guards are being trained there for two weeks. 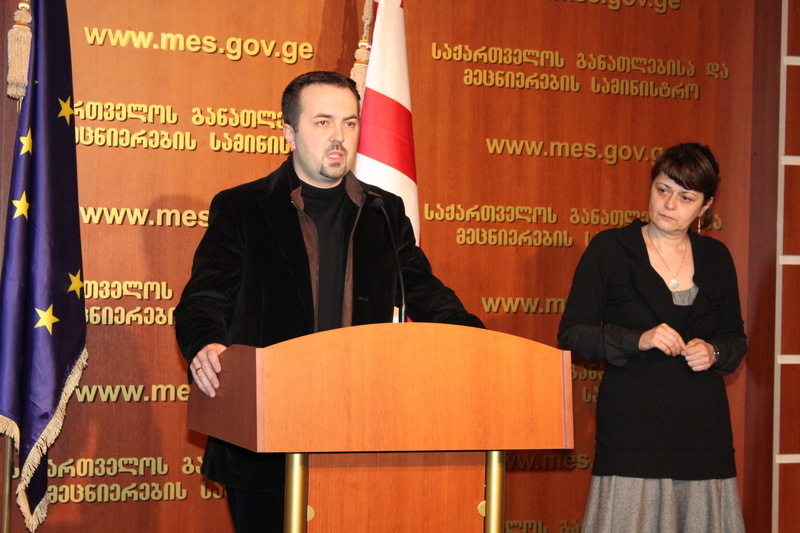 The presentation of the modern video equipment was held at the Ministry of Education and Science. 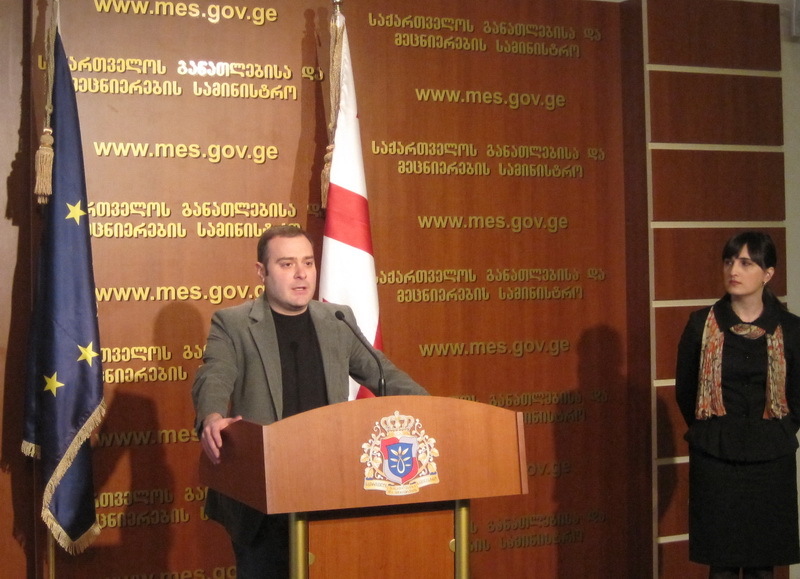 Dimitri Shahkini introduced the new equipment to the journalists. 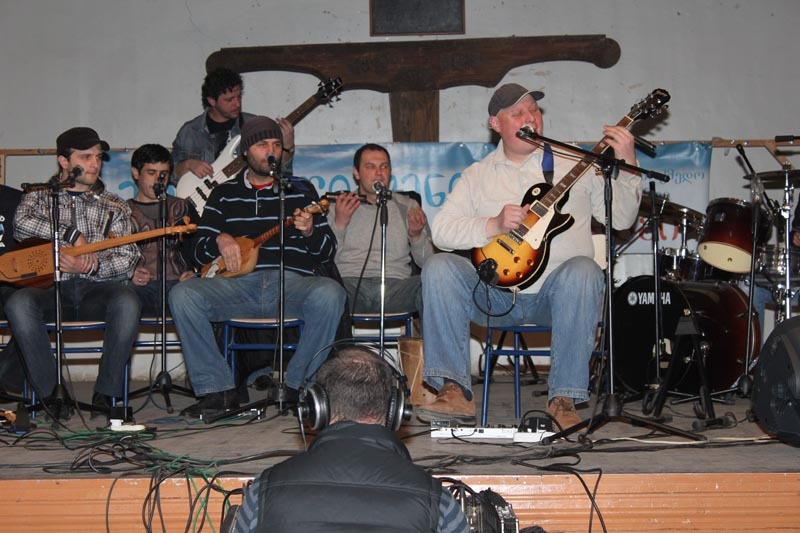 The video connection of the operators to the hot line will be provided by this new equipment. 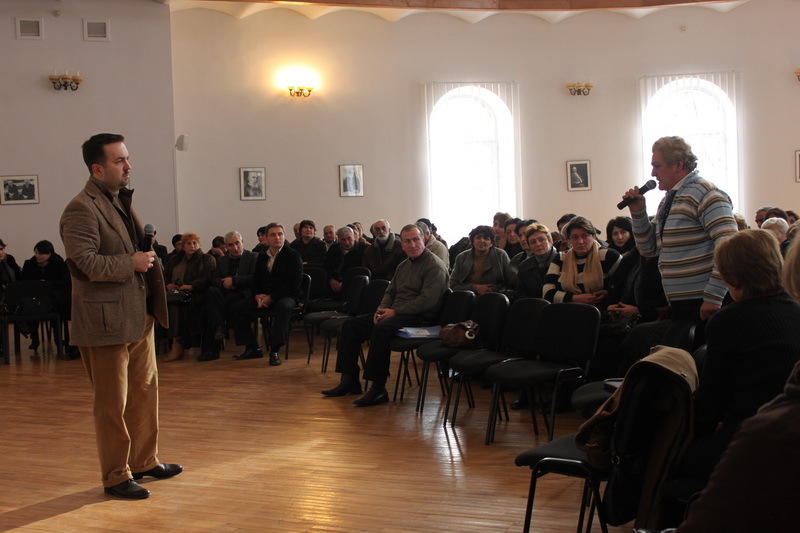 One of the founders of this center is the Ministry of Education and Science. 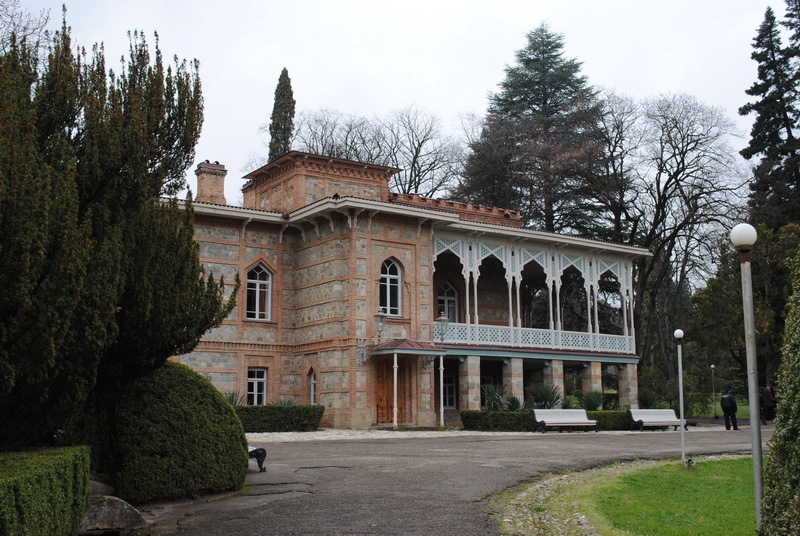 The mission of the center is to make educational activities of the museum more active, to develop modern educational technologies as well as increase the auditory of the museum. 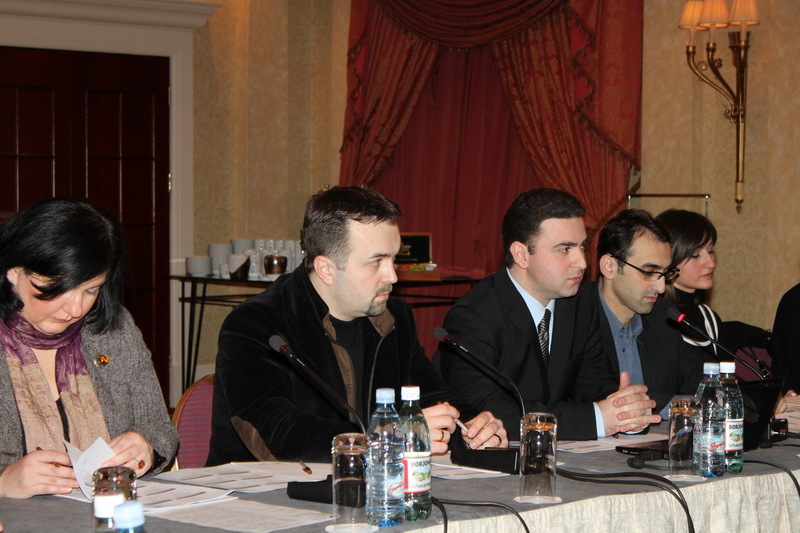 2011-2012 high school diploma exams programs have just been approved by the Ministry of Education and Science. 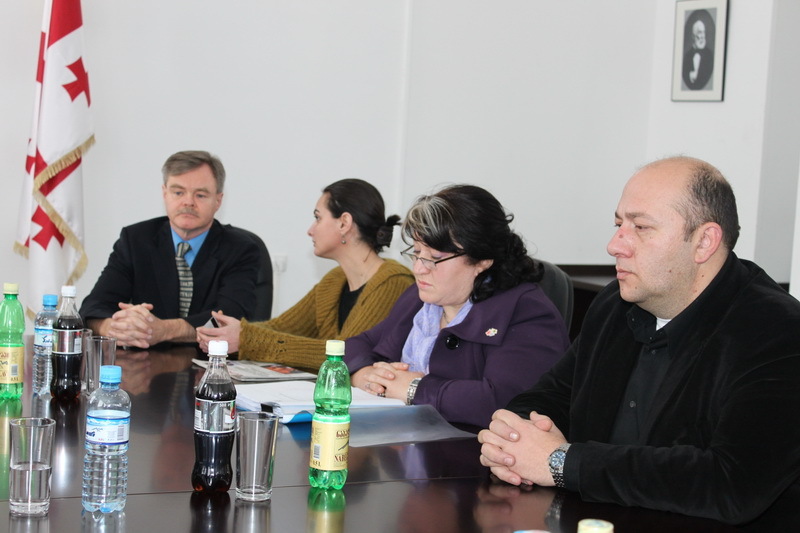 The Minister of Education and Science, Dimitri Shashkini, the Director of National Curriculum and Assessment Center, Natia Jokhadze and the Director of National Examinations Center, Maia Miminoshvili held a meeting with subject matter experts and discussed this issue. 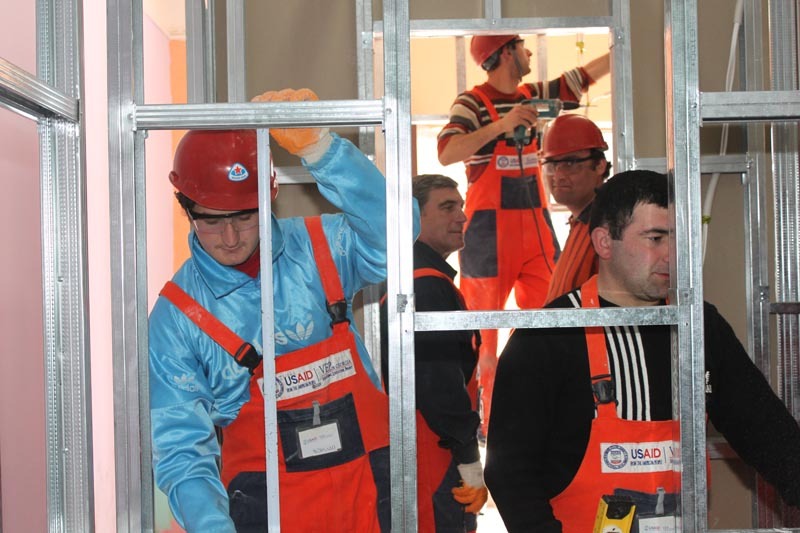 By the support of the Ministry of Education and Science, 64 graduates of Kutaisi №1 vocational education and training center will be employed at LTD Joint Water Supply Company of Georgia, at the end of March. 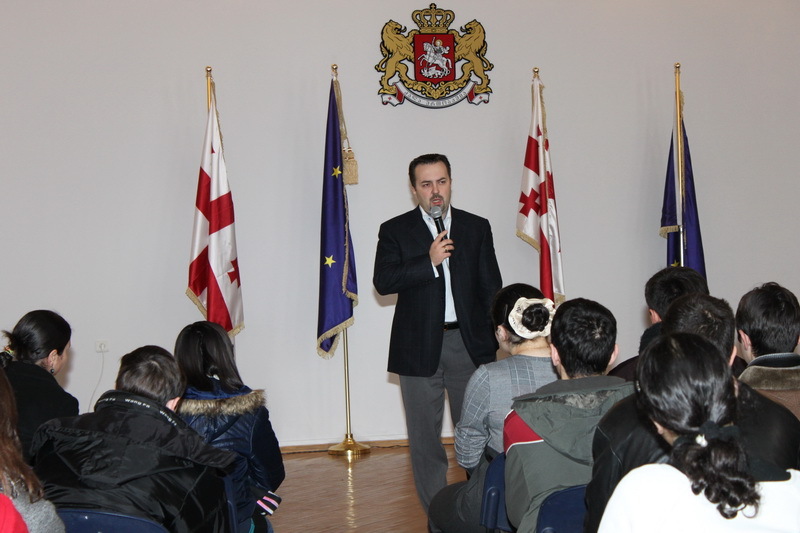 The Minister of Education and Science finished his official visit to Canada. 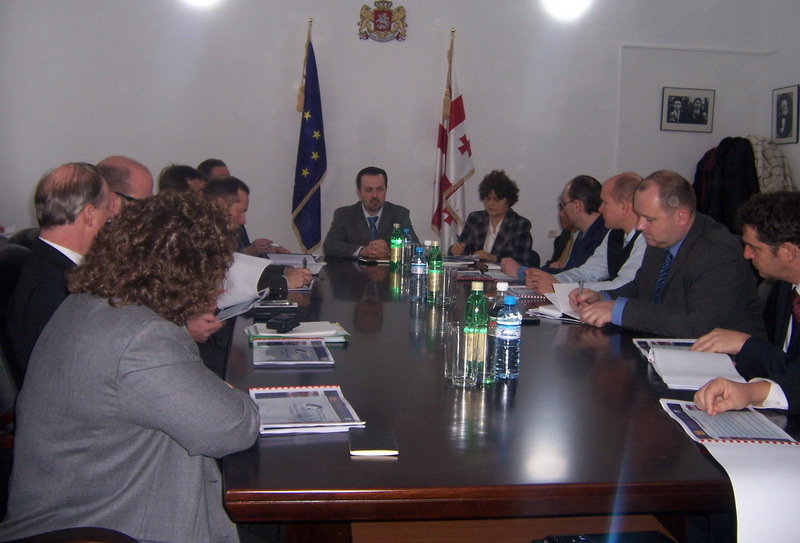 He held the last meeting with the State Minister of Canada, Mr. Pletcher at the Parliament. 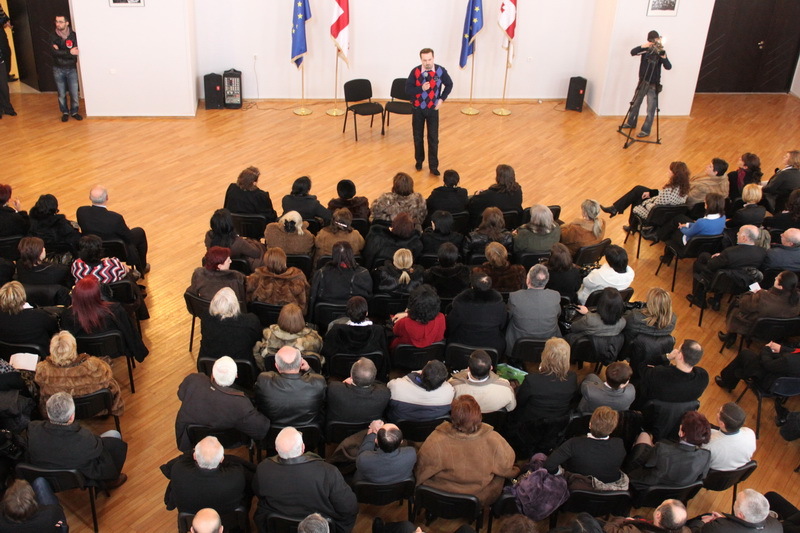 The Deputy Minister of Education and Science, Giorgi Chakhnashvili met with around 200 teachers of Poti public schools and spoke about 2010-2011 planned innovations in the general education. 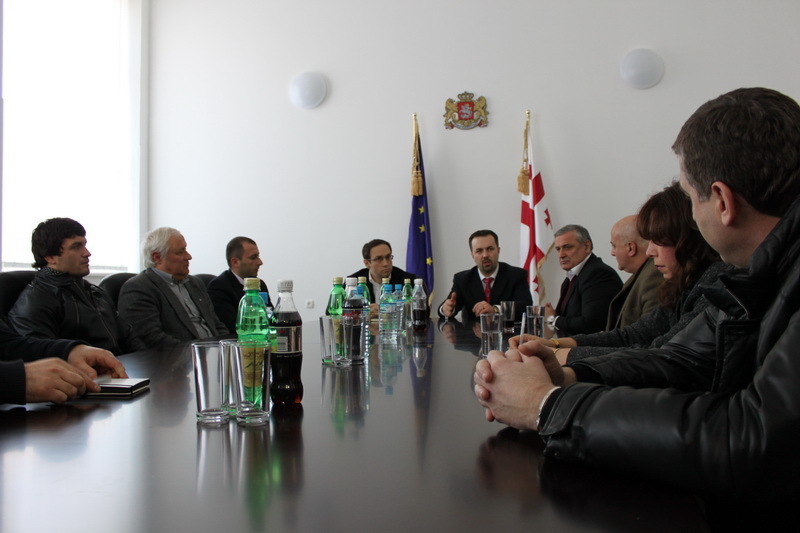 The Deputy Minister of Education and Science, Giorgi Chakhnashvili got familiarized with the rehabilitative works of Batumi State Maritime Academy. 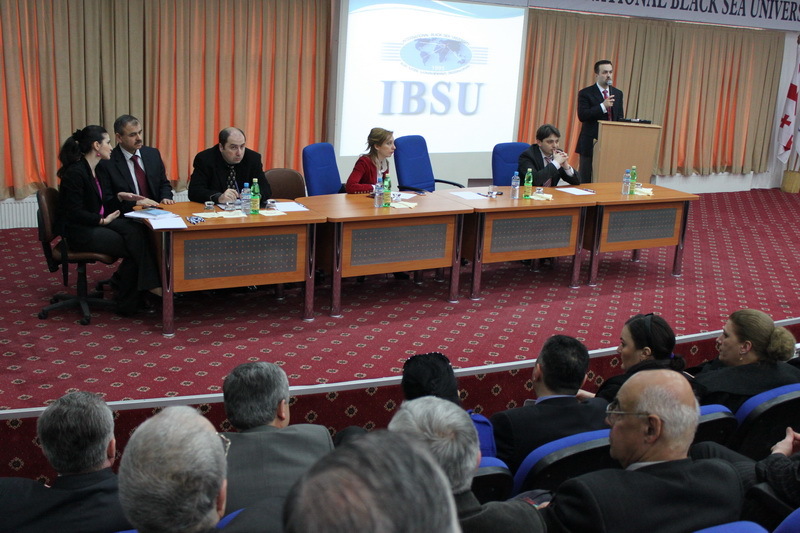 In the framework of the official visit, the Minister of Education and Science holds meeting in Canada. Today, he met with the President of Atlantic Counsel, Ms Juliette Lindhout in Toronto and Ontario’s Deputy Minister of Education, Kevin Costante. 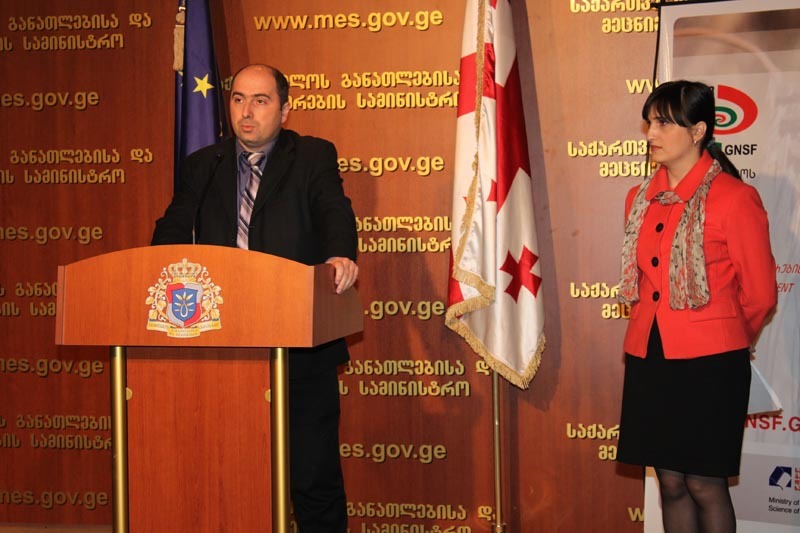 The First Deputy Minister, Koka Seperteladze and the Director of the National Curriculum and Assessment Center, Natia Jokhadze held a briefing about the new competition, launched at public schools. 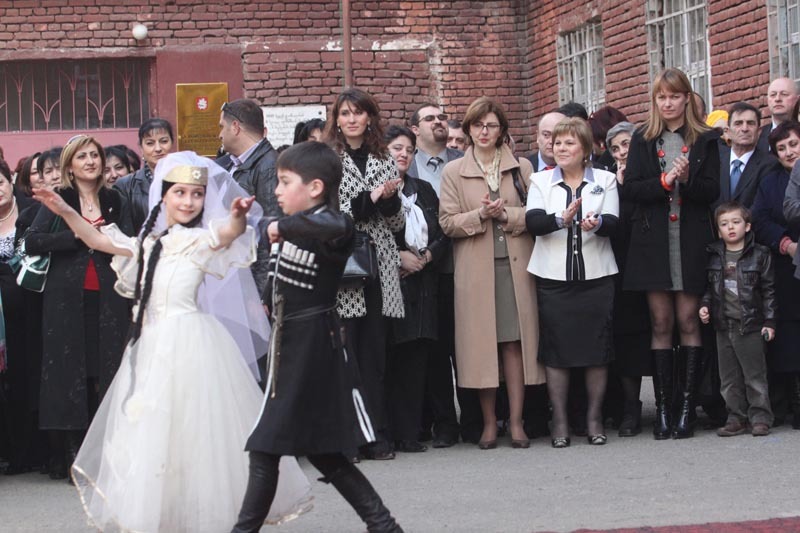 The First Lady of Georgia, Sandra Reolofs, together with the Deputy Minister, Irine Kurdadze and the representatives of the diplomatic corps accredited to Georgia visited the exhibition, created by the schoolchildren of different nationalities. 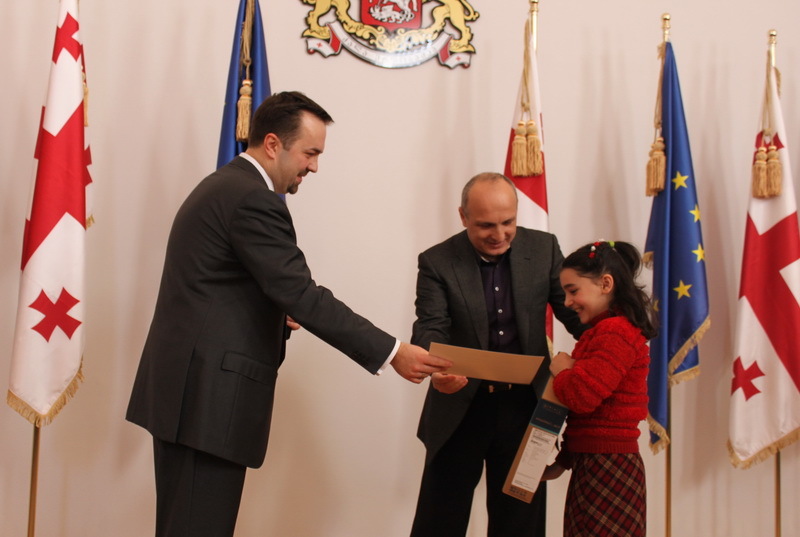 The winners of the project Future is Yours were awarded with computers, prizes and certificates at Tbilisi public school №161. 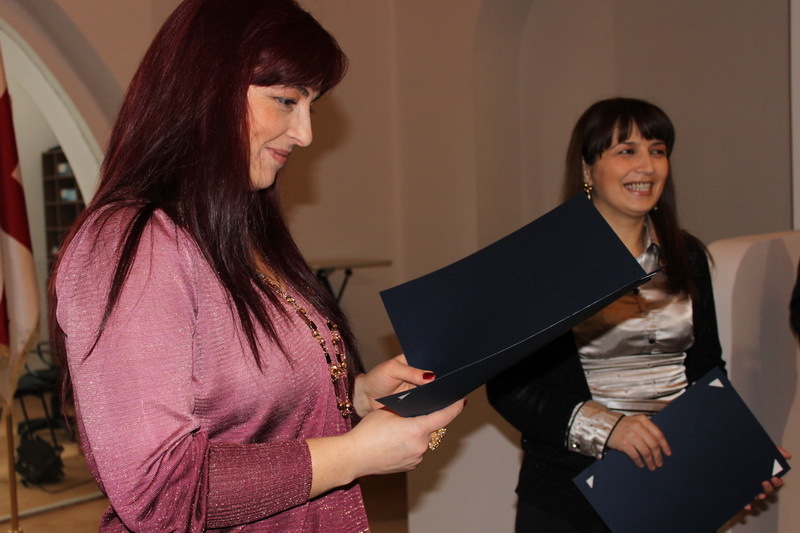 The First Deputy Minister of Education and Science, Akaki Seperteladze, the President of non-governmental organization “Tsami” and the representatives of Tbilisi City Assembly presented the winners with these prizes. 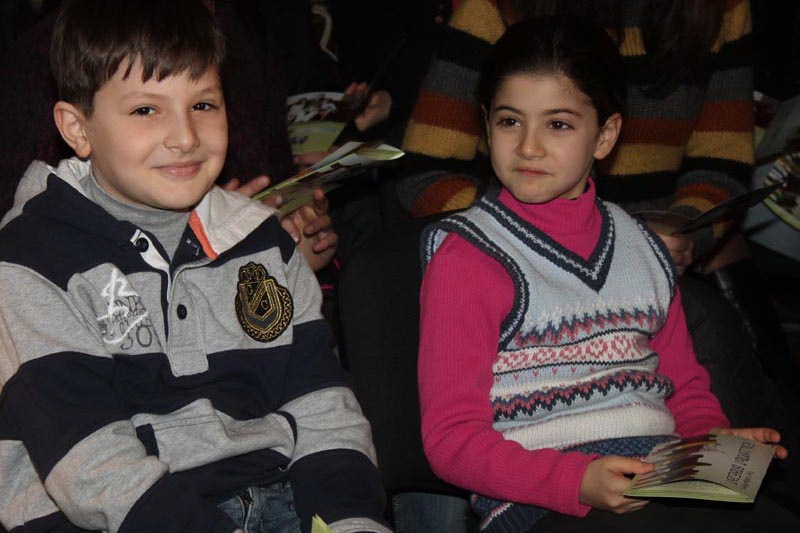 The second round of the competition The Best Linguist in English was carried out at Kutaisi public school №17. 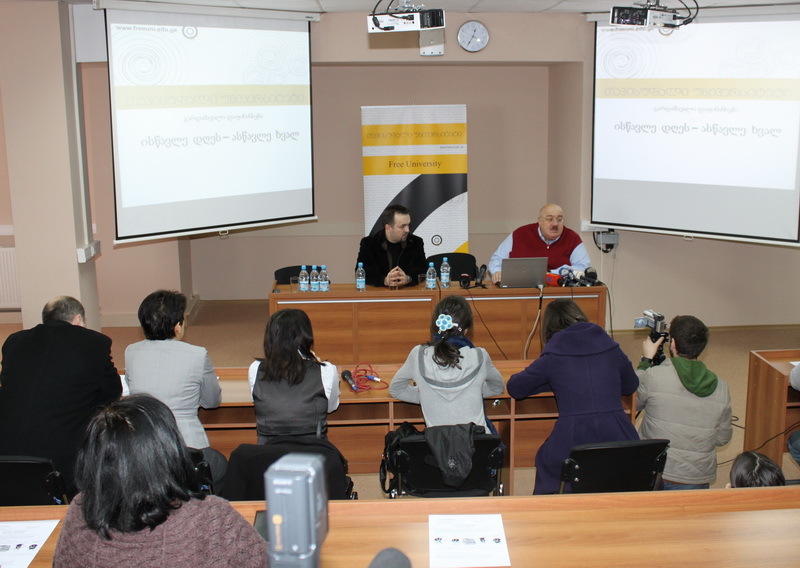 The participants used the communicational technologies in the competition. 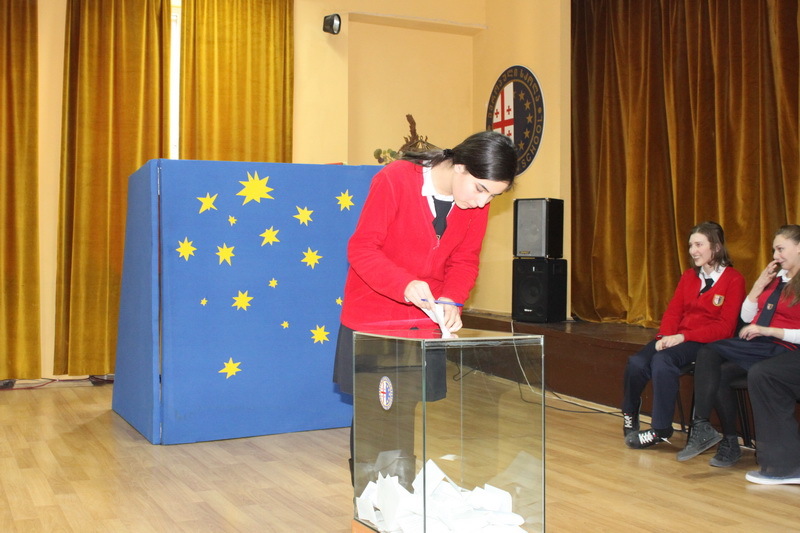 The Deputy Minister of Education and Science, Ms. Irine Kurdadze observed the second round. 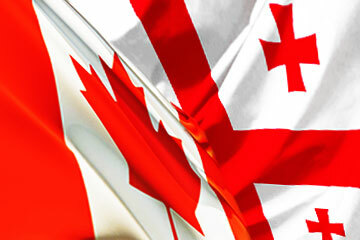 The Minister of Education and Science left for Canada to meet with the State Minister of Canada, the Ministries of Education of the provinces of Canada and the Head of Foreign Affairs Ministry on March 22-23. 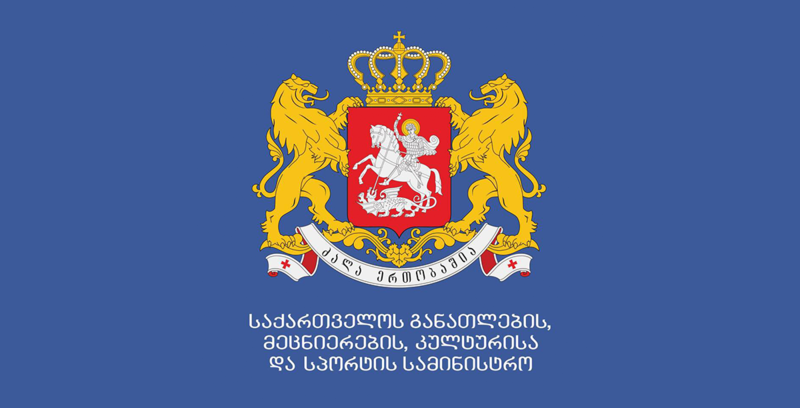 Cooperation issues between the two countries and the new project Teach and Learn with Georgia will be discussed at the meetings. 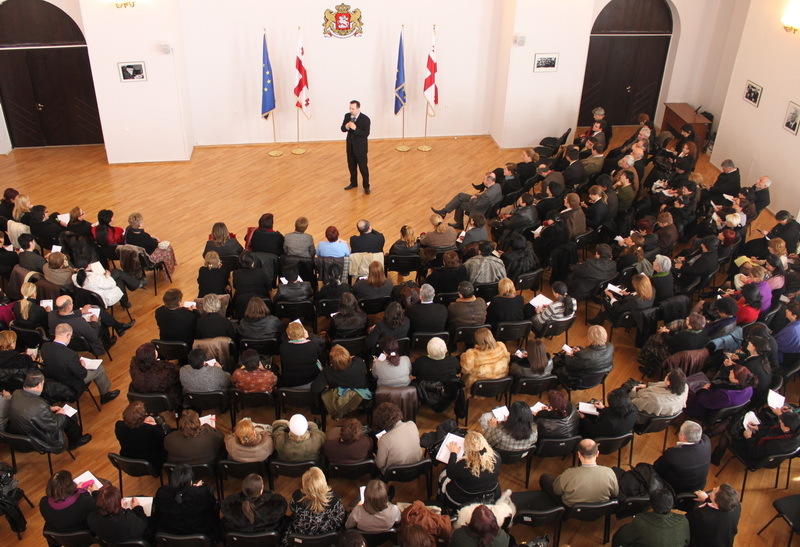 The Minister of Education and Science, Dimitri Shashkini met with more than 200 teachers of different schools and listened to their opinions about ongoing educational reform. 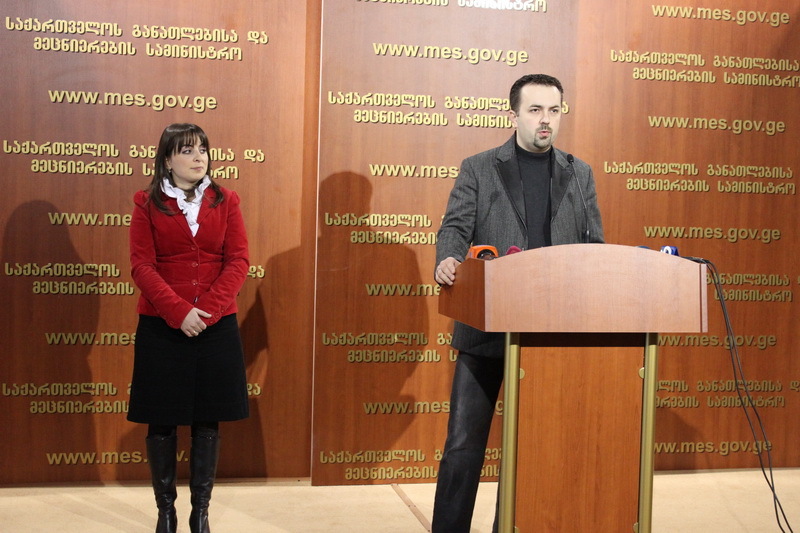 According to the Minister’s announcement, experienced teachers’ opinions are very important for the implementation of the reform. 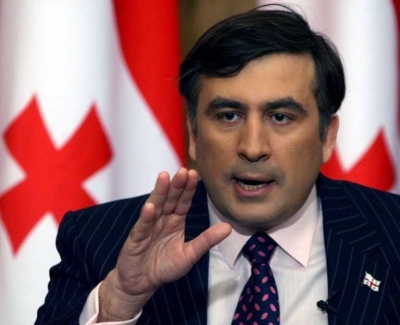 The ministry is ready to consider their views. 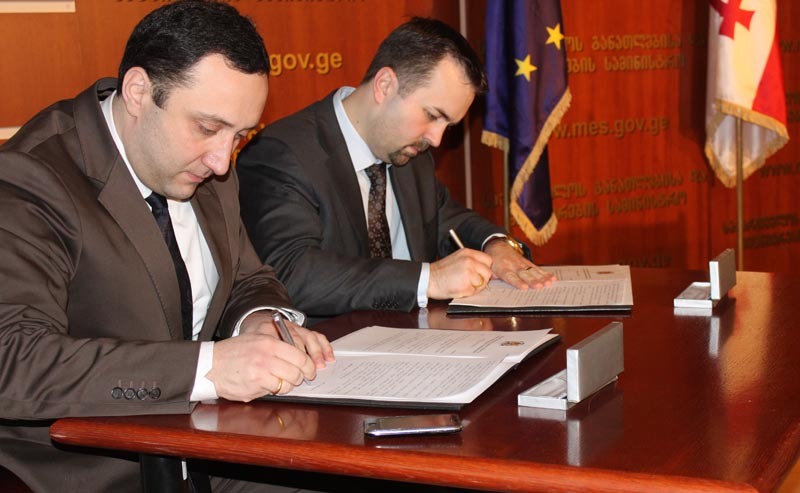 The memorandum was signed between the Minister of Education and Science, Dimitri Shashkini and the Minister for Diaspora Issues, Mirza (Papuna) Davitaia at the Ministry of Education and Science. 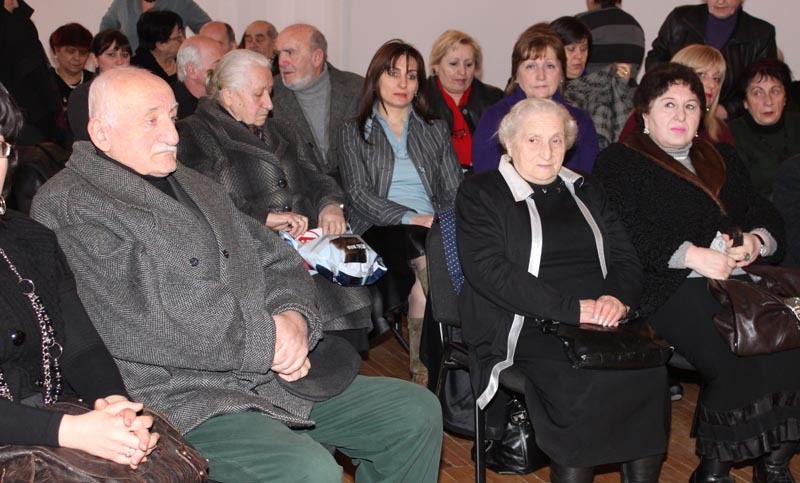 The Minister of Education and Science, Dimitri Shashkini and the Director of National Examination Center, Maia Miminoshvili visited Tbilisi public school #98 and met with around 200 teachers of Isani-Samgori region. 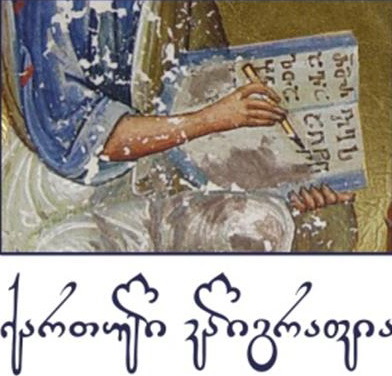 The Ministry of Education and Science and the National Center of Manuscripts, by support of other interested organizations holds a competition of Georgian Calligraphy. 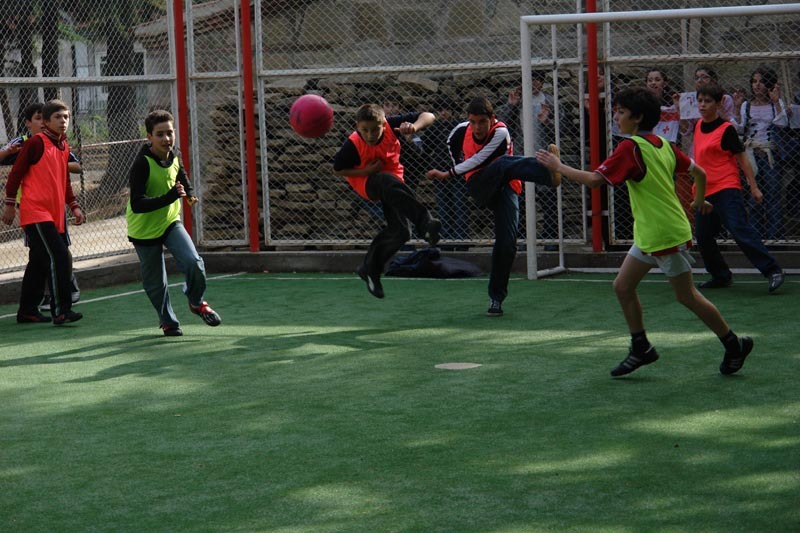 The goal of the competition is to develop hand writing culture and reveal the creativeness of youngsters. 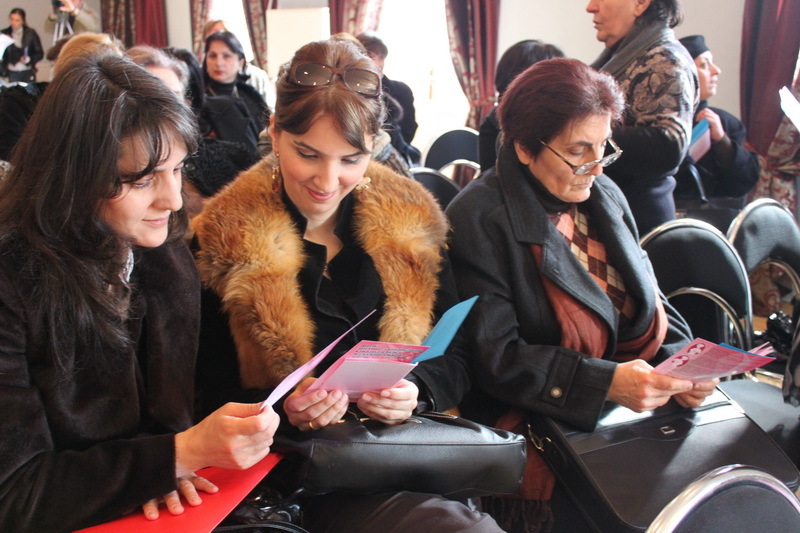 A presentation of the booklet Books for Home Reading was carried out under the aegis of the Ministry of Education and Science of Georgia and Tbilisi City Assembly. 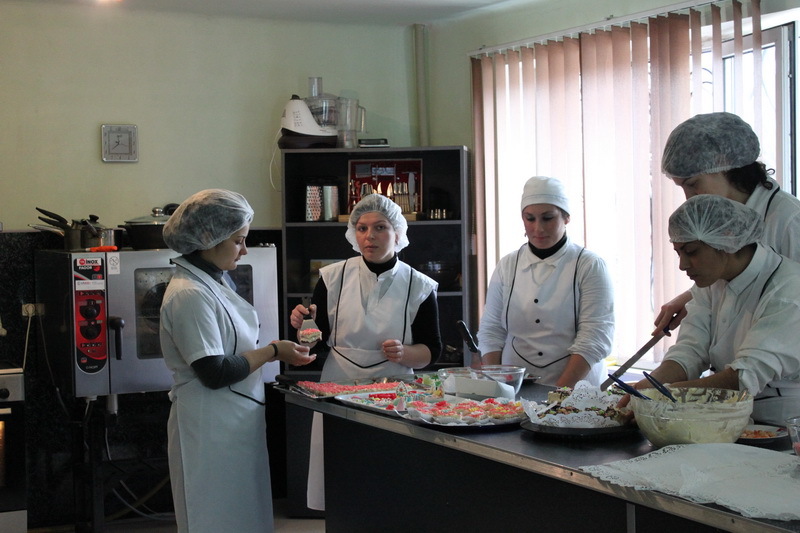 The Minister of Education and Science visited the Vocational Education and Training Center “Ikarosi” and got familiarized with the infrastructure and the activities of the center. 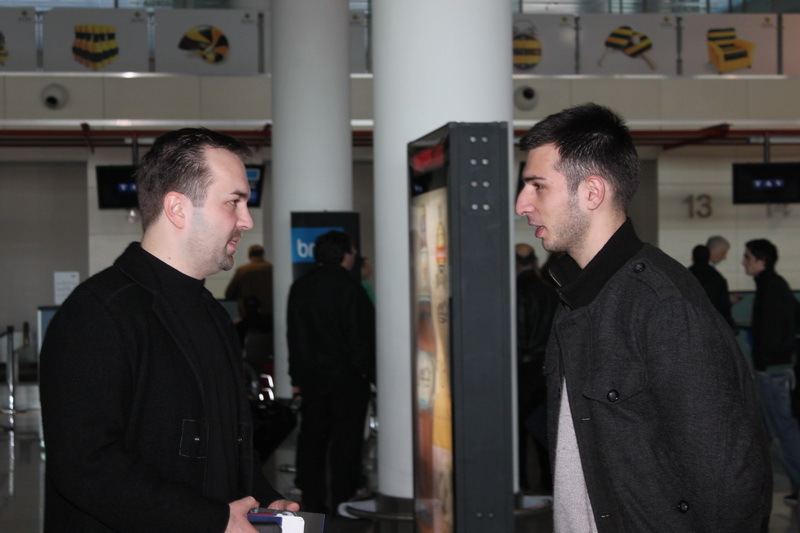 The Minister met with foreign students and listened the evaluation of the center from them. 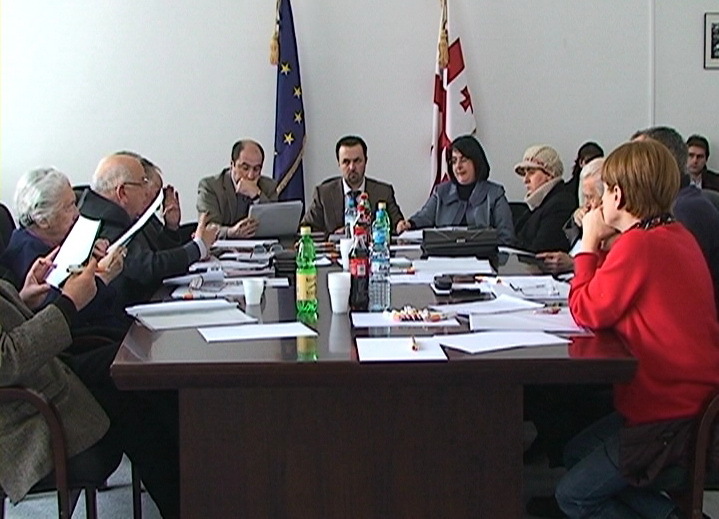 A Board of Advisors was established at the Ministry of Education and Science. 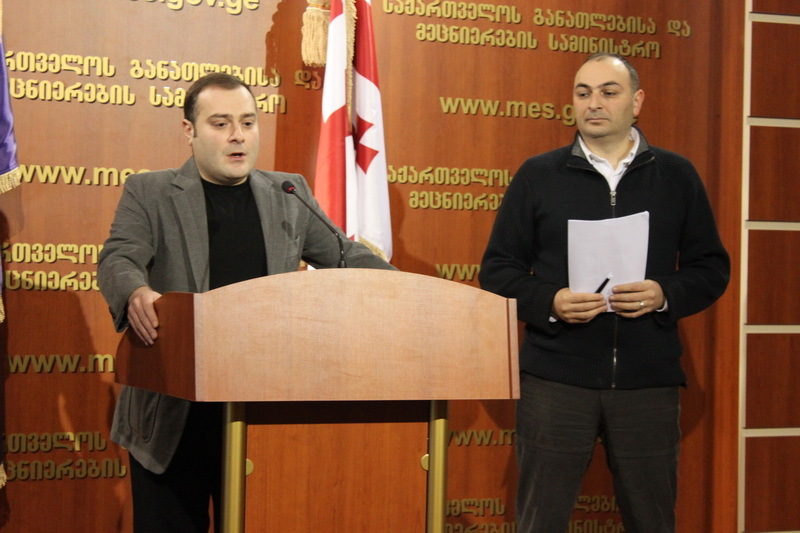 By the Minister’s announcement, involving experts, professionals and the members of society, also utilize all resources throughout the country is very important to realize the ongoing reforms successfully. 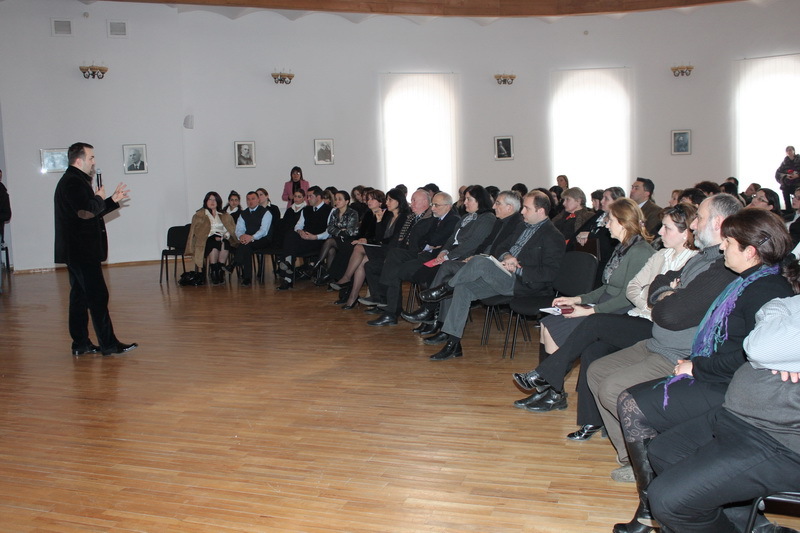 The Minister of Education and Science visited Akhaltsikhe and held a meeting at Public school №5. 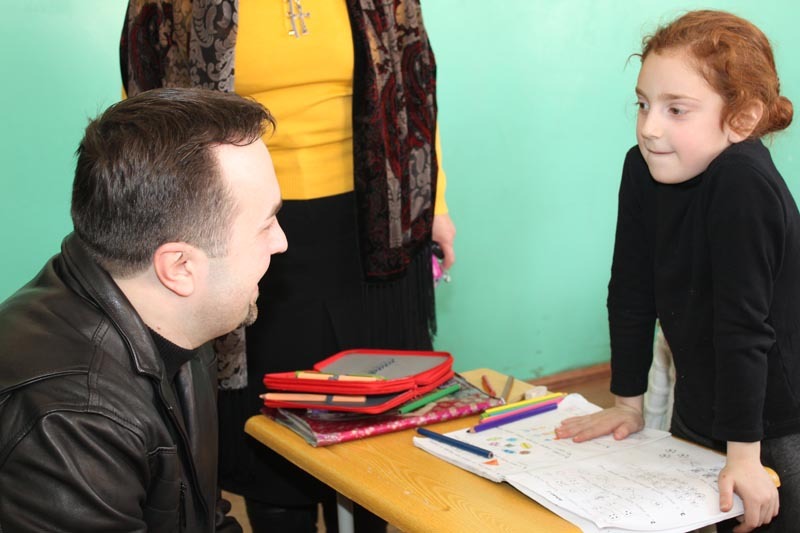 The Minister spoke about the ongoing educational reforms and underlined the importance and necessity of them during the meeting with the principles of schools, teachers and schoolchildren. 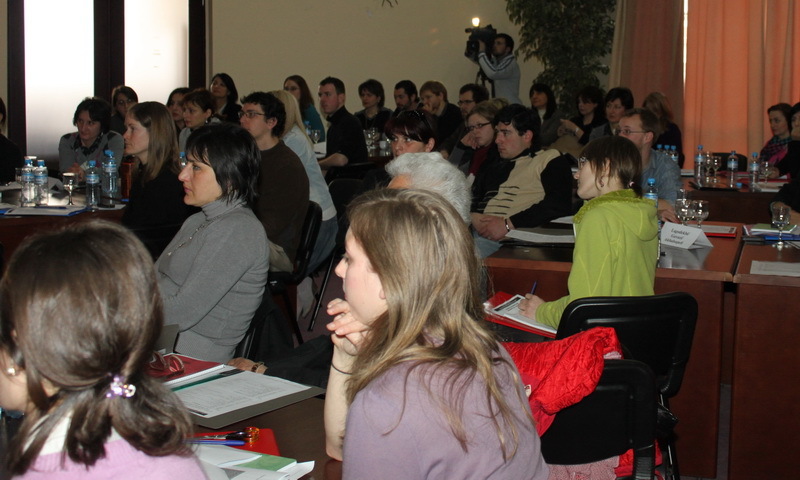 Young scientists will have a chance to become interns at leading scientific centers abroad in the following scientific fields: engineering sciences, physics and astronomy, geology, mathematics, mechanics, information technologies, telecommunication, also agrarian, biological, natural and medical sciences. 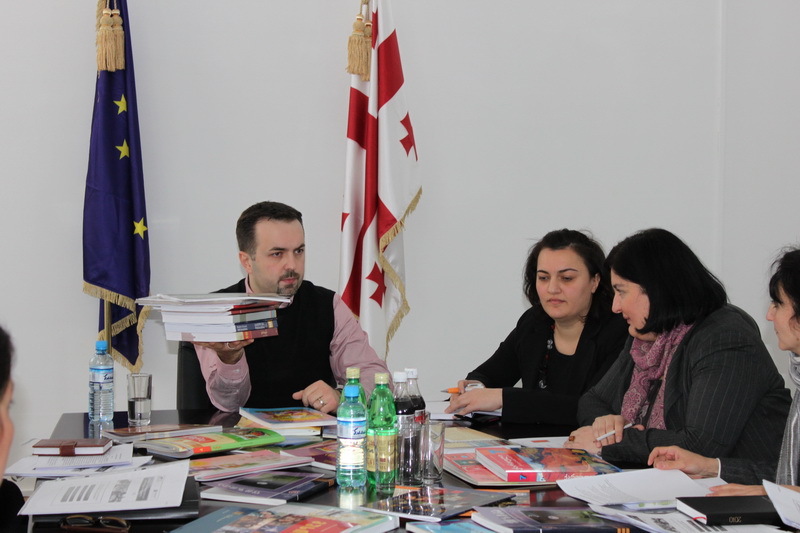 The Ministry of Education and Science, together with the Association of Private Schools begins a new project from the next academic year. 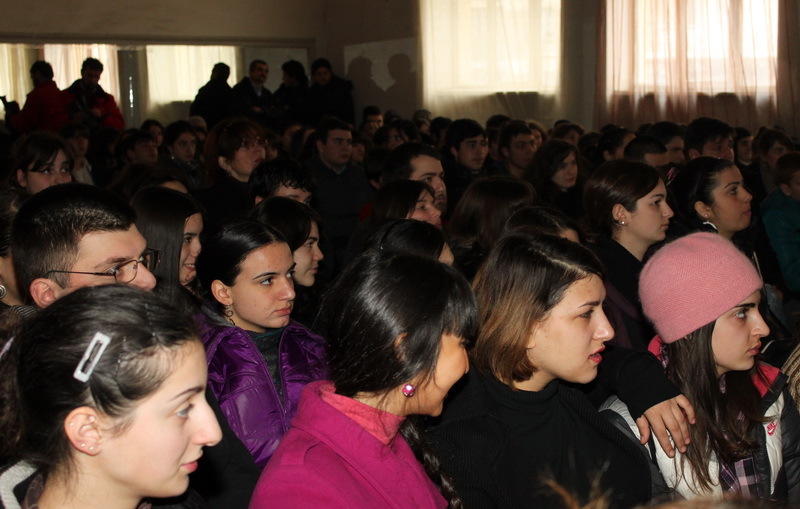 The Minister announced about the joint project during his visit to private school-lyceum "Mtsignobartukhutsesi". 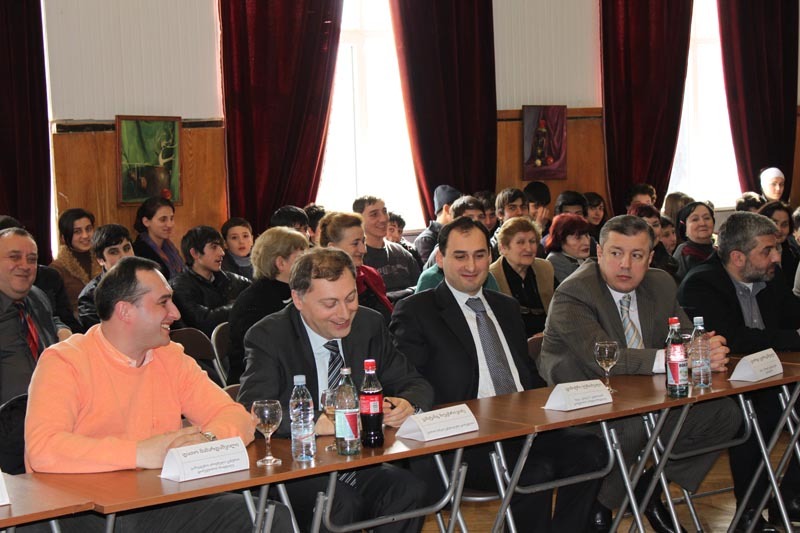 The Minister of Education and Science, Dimitri Shashkini opened and observed a second round of National Educational Olympiad in mathematics and foreign languages, carried out at public school №161. 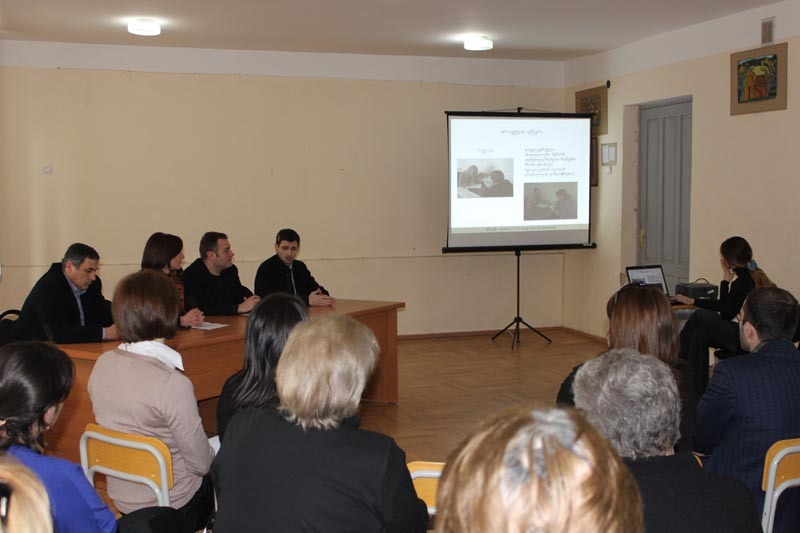 A project of Reducing the Problems Caused by AD/HD (Attention-deficit hyperactivity disorder) at Schools, implemented by the Institute of Strategy and Development was presented at the first experimental school. 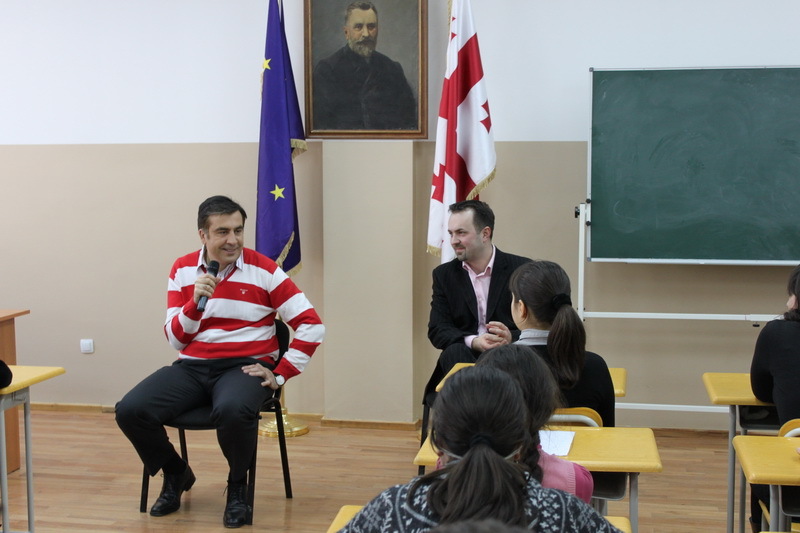 The Minister of Education and Science, Dimitri Shashkini met with the graduate club members (ALUMNI) of public school № 199 (former physics-mathematical school of Komarov) and listened to the new initiatives of the members of the club and the school representatives about the future development of the school. 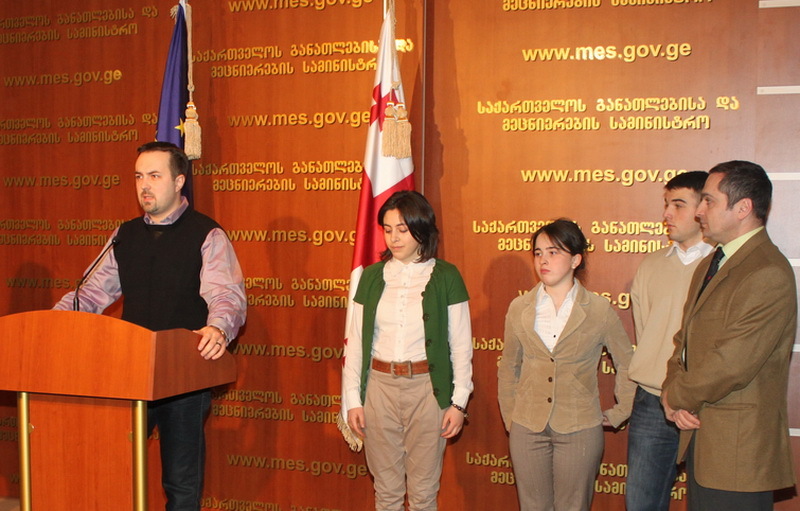 A national competition of public speaking in English was carried out between the youth of 16-20 age. 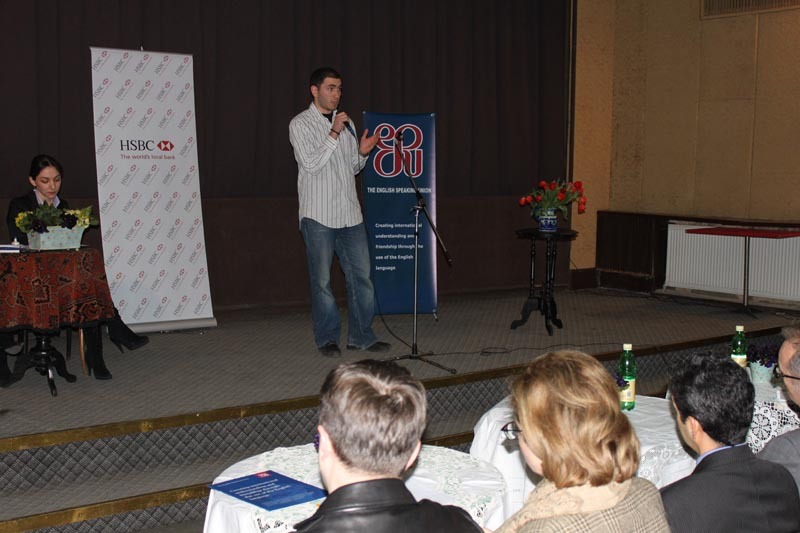 The theme of the competition was Speculation on Our Future.The first round was held on March 10 and around 100 volunteers took participation in it. 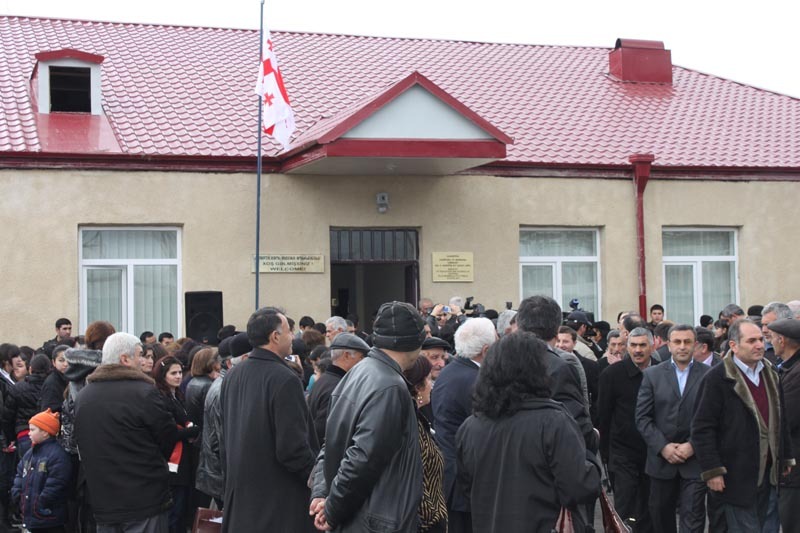 From now on, the schoolchildren of Azerbaijanian public school №7 in Marneuli will study at the school that is in compliance with modern standards. 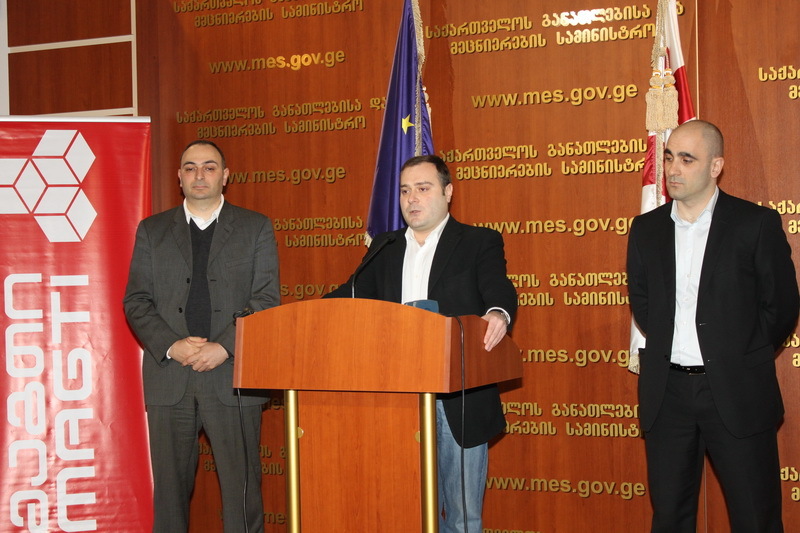 Tbilisi public school infrastructure improvement and arrangement issues were discussed at the working meeting between the Minister, Dimitri Shashkini and Vice-Mayor of Tbilisi, Mamuka Akhvlediani at the Ministry of Education and Science. 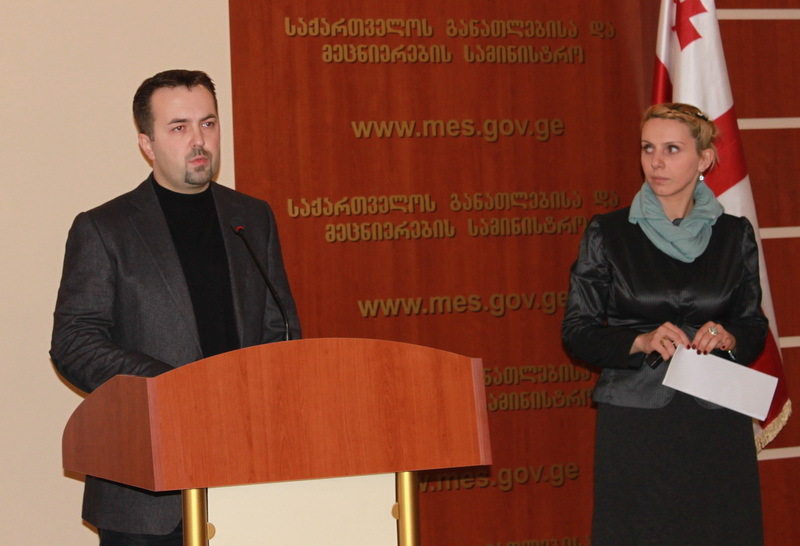 The issues of school infrastructure development strategic plan were discussed at the seminar between the Ministry of Education and Science and the Educational and Scientific infrastructure Development Agency on March, 10. 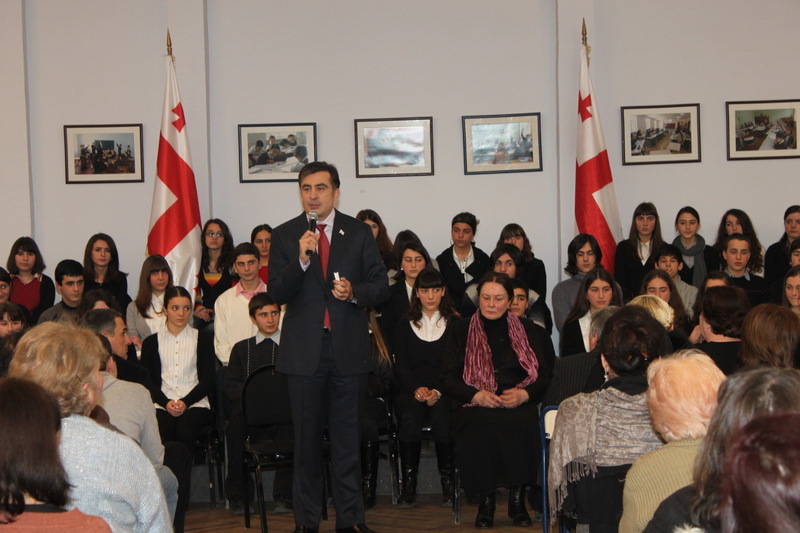 The President of Georgia , Mikheil Saakashvili opened a new Turkish school-lyceum in Batumi. 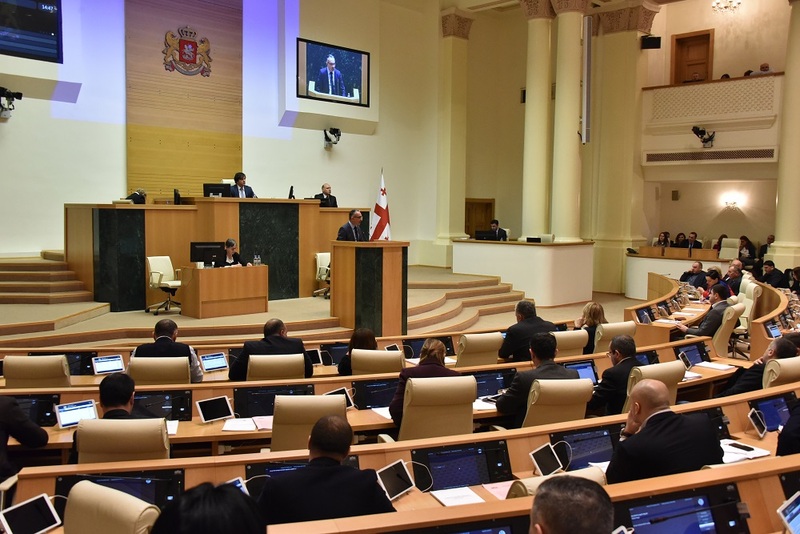 Before the opening , the President spoke about the priorities of education , underlined the implemented and concretely planned activities. 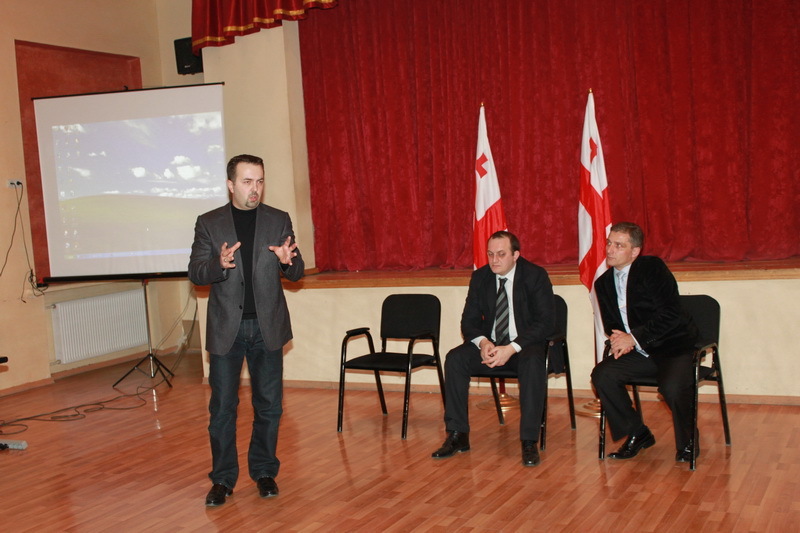 The Minister of Education and Science visited the vocational education and training centers of Ajara region. 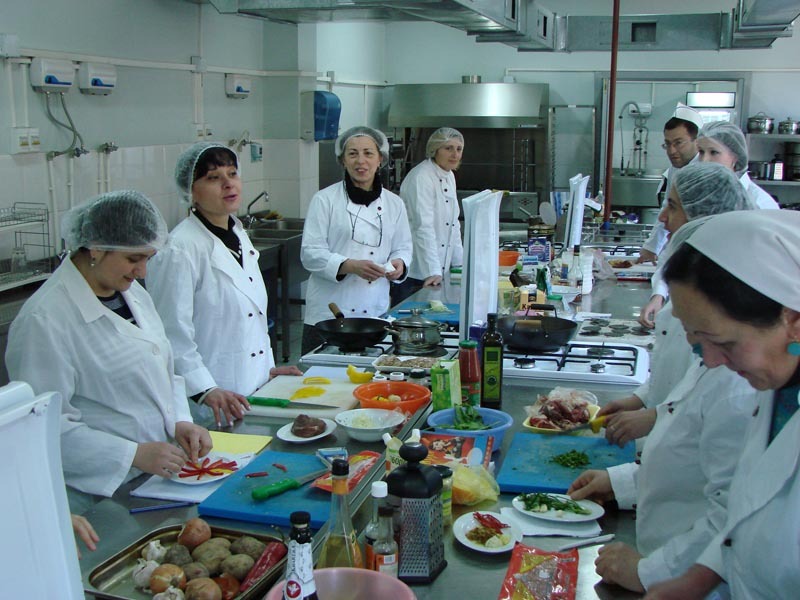 He visited Kobuleti vocational education and training center, where the trainees are prepared in order to be employed in tourism. 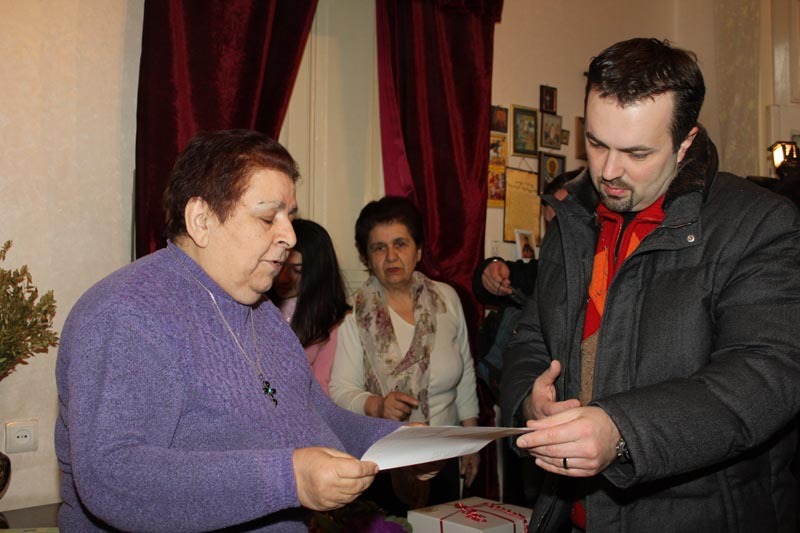 The Minister of Education and Science visited the merited teacher of primary school, the Doctor of Pedagogic Science, Ms. Dodo Nazirishvili at home, wished her a happy Women’s Day and presented her with different gifts. 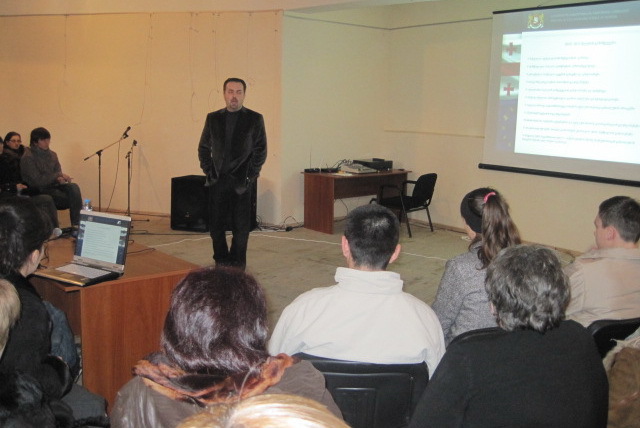 By the initiative of the Minister of Education and Science and the Union of Employers, the principles of public schools will receive the trainings in affective school management. 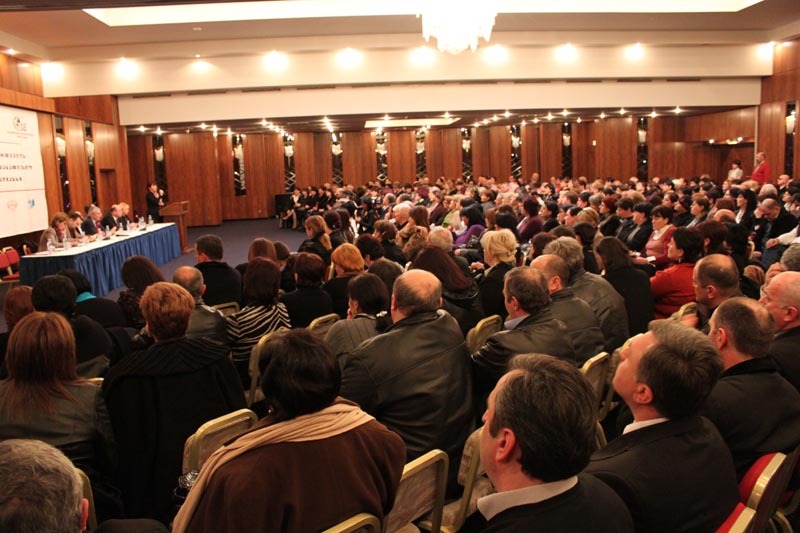 The Minister of Education and Science met around 500 principles of Georgian Regional schools at Sheraton Metechi Palace. 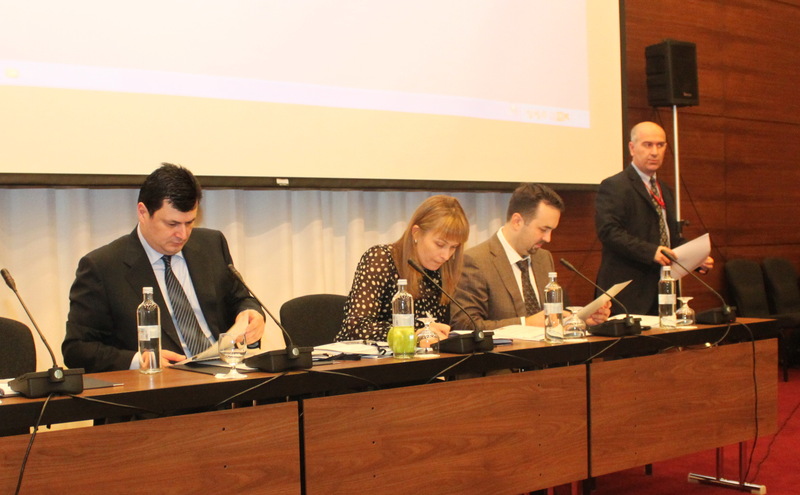 National Center for Education Accreditation carried out the academic summit which was dedicated to the support of internationalization of education and students mobility. 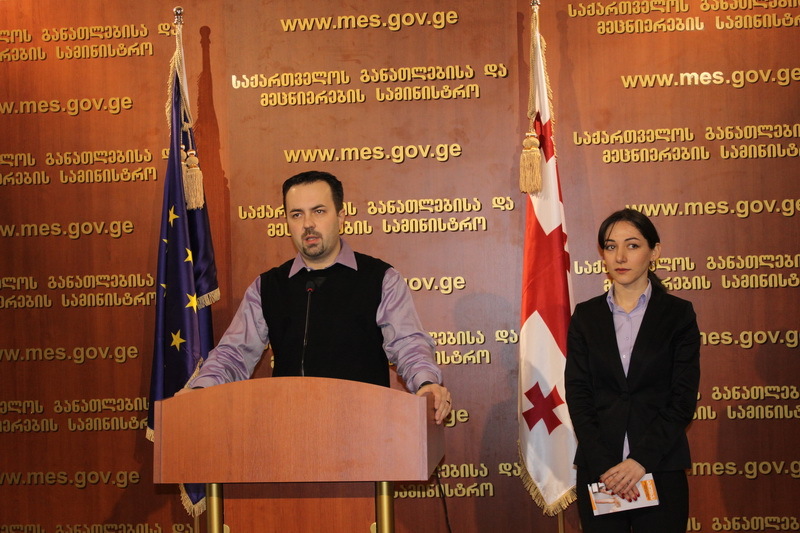 In the scope of Juvenile Crime Prevention and Safe School campaign, the Ministry of Education and Science, together with the Prosecutor’s Office of Georgia announced the joint picture competition. 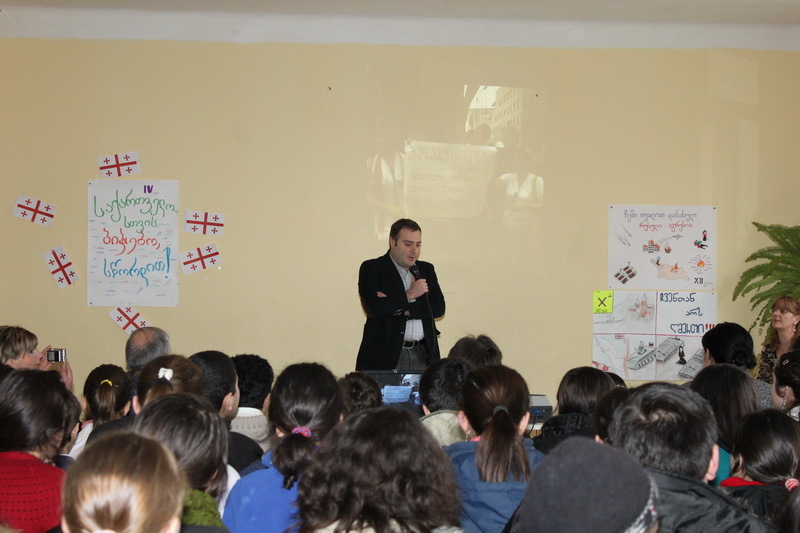 The topic is Youth Without Lose. 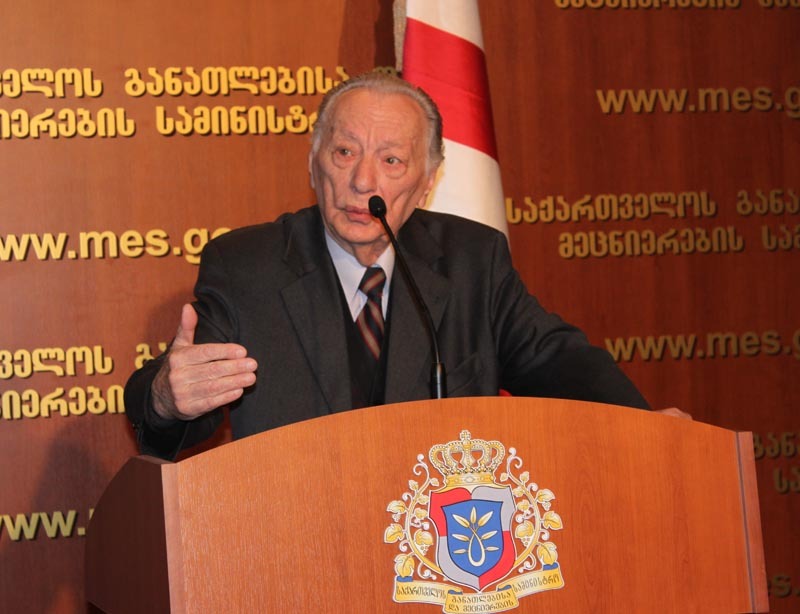 According to the President’s order #66, on 30 January, 2010, the educational-enlightenment and the qualification advancement programs of the Development and Reforms Fund Agency, which was established on the initiative of President, will be implemented by the Ministry of Education and Science. 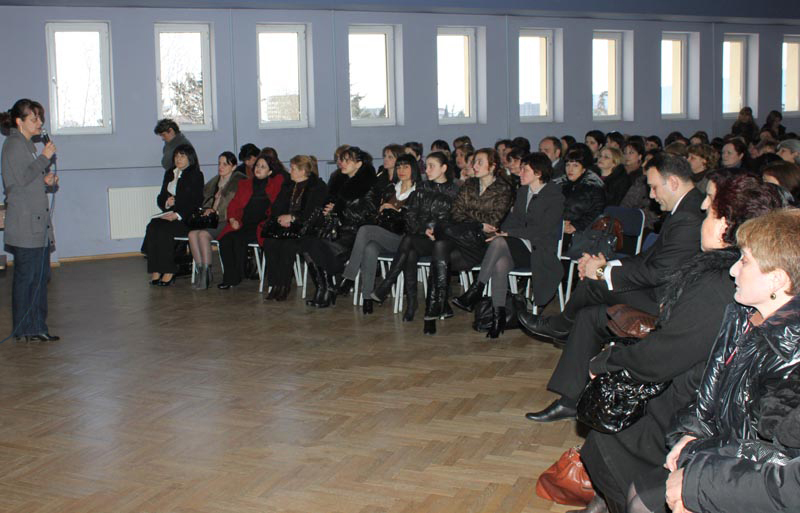 2400 teachers from different regions of Georgia passed the voluntary pilot testing in Kutaisi. 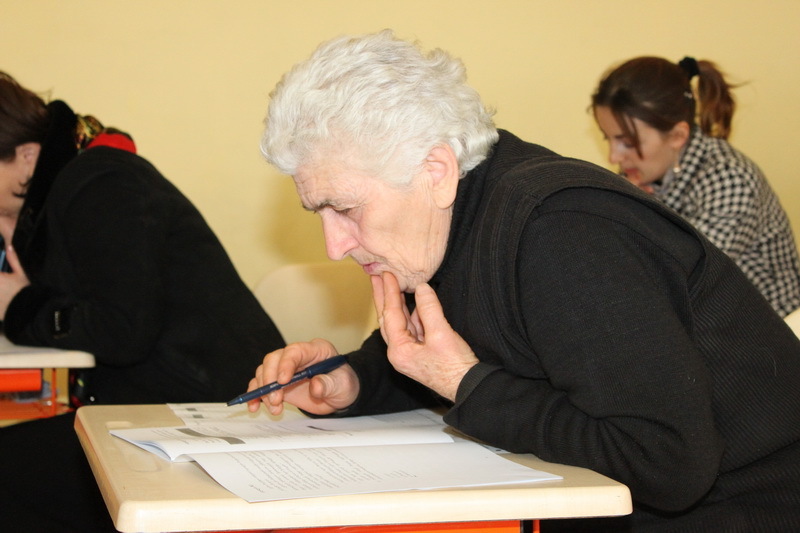 By the results of pre tests the voluntary certification exams seemed easy for the teachers. 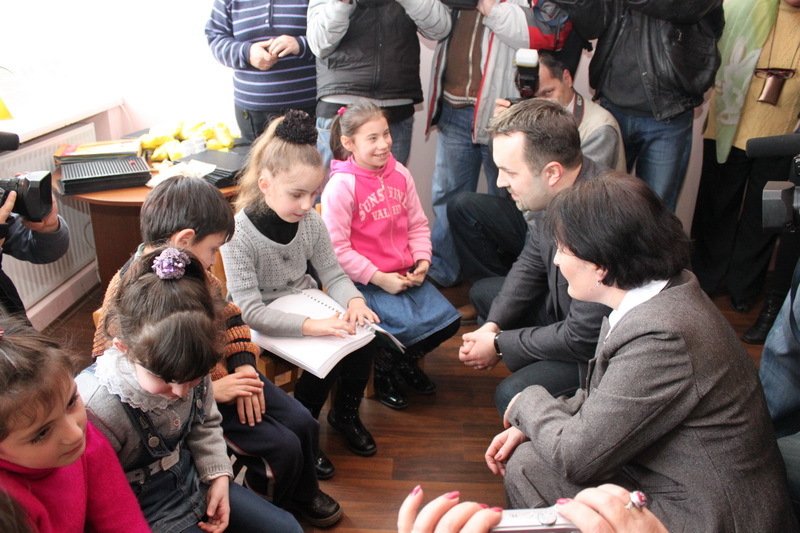 The Minister of Education and Science visited Gurasashvili Vulnerable Family on March, 3, in Rustavi. 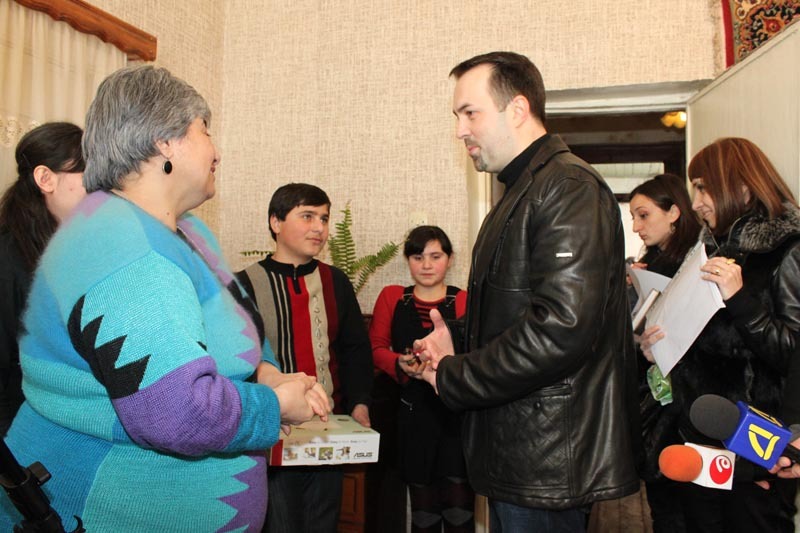 The Minister congratulated the hostess, Ms. Svetlana with Mother’s Day and presented her 5 children with following items– tape-recorder, computer, literature and toys. 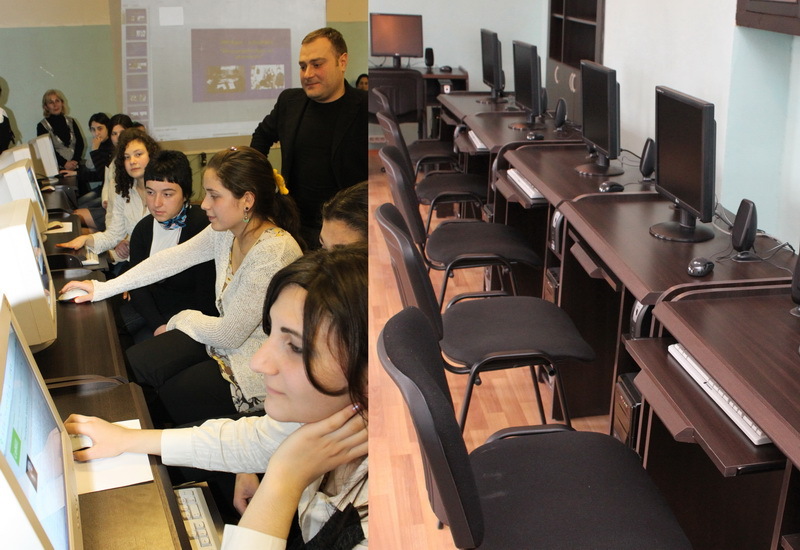 In the framework of the program Deer Leap, the Education and Science Infrastructure Development Agency of the Ministry of Education and Science, together with the donor organization Skhivi XXI , has launched a new project of providing schools with computer techniques. 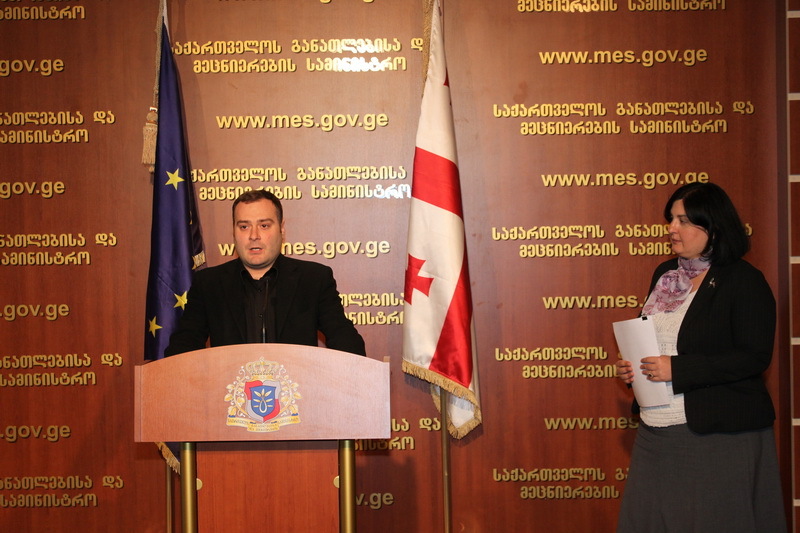 The presentation of renovated web-site was carried out at the Ministry of Education and Science. 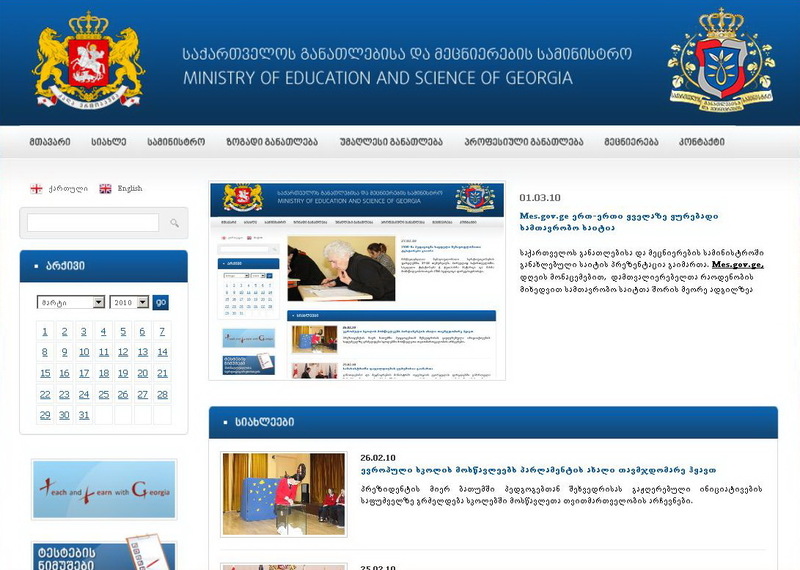 According to he visitors number, Mes.gov.ge takes the second place among governmental sites currently (the Ministry of Finance of Georgia is on the first place). 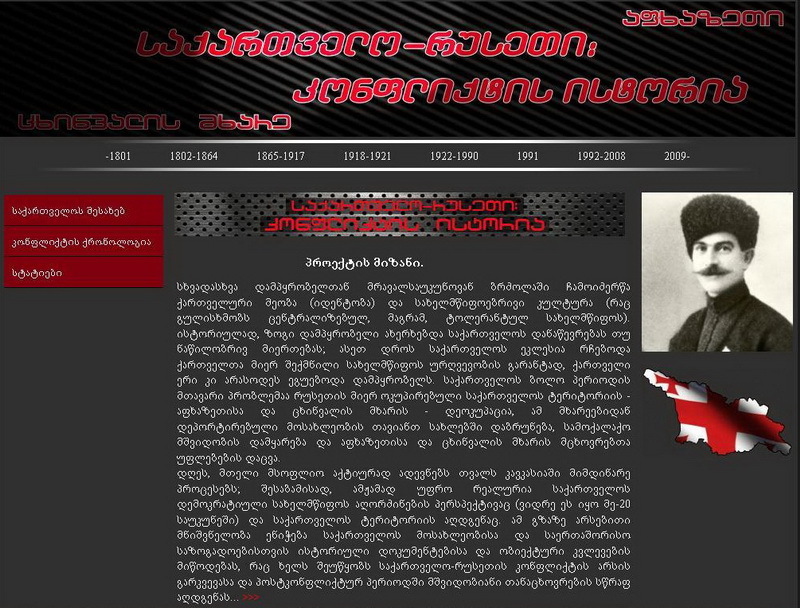 Various information makes the site so popular.